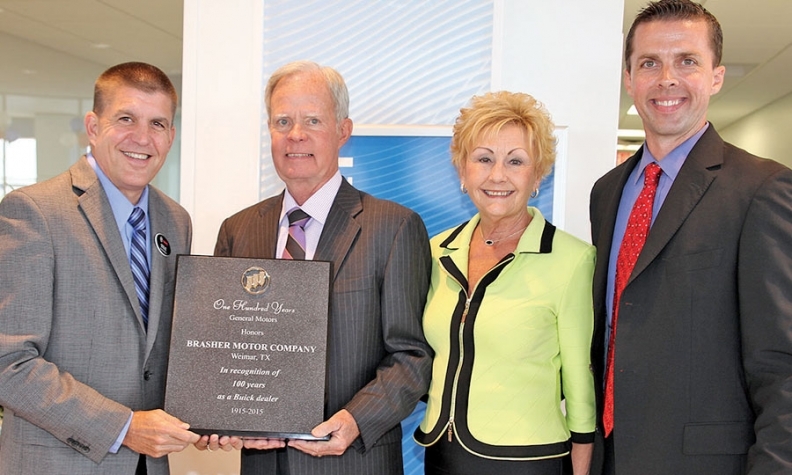 Members of the Brasher family at Brasher Motor Co. (Buick-Chevrolet-GMC) in Weimar, Texas, receive a 100-year award for Buick. Pictured, from left, are Steve Kuhl, Buick-GMC zone manager in the Houston area; Tommy Brasher, president; Karen Brasher, secretary; and Scott Brasher, vice president. Tommy was the dealer from 1984 to 2015; Scott is now the dealer. 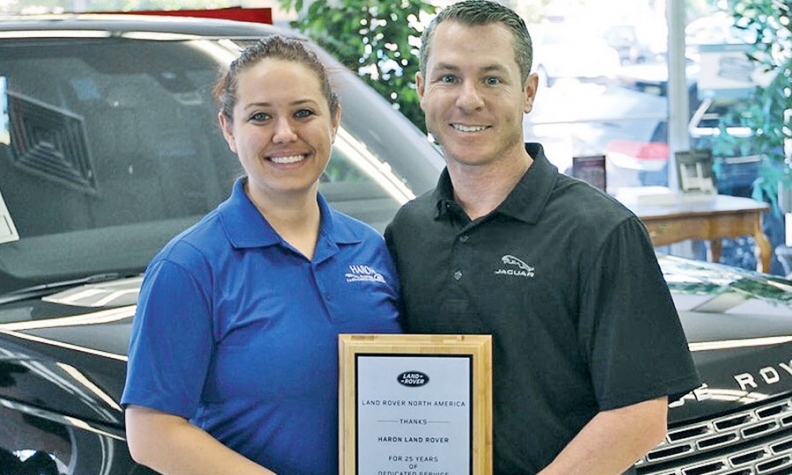 Hilary Haron and Randy Haron of Haron Land Rover in Fresno, Calif., received a 25-year award from Jaguar Land Rover North America. Hilary is office manager; Randy is general manager. 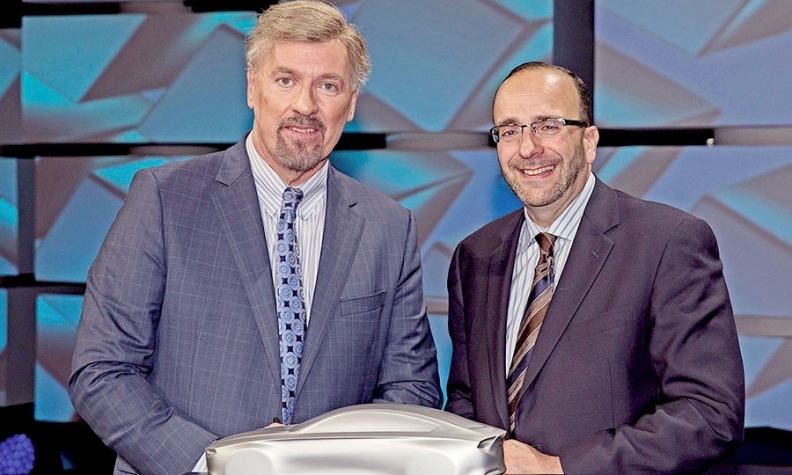 Joseph Suresky, right, dealer principal of Suresky Hyundai in Goshen, N.Y., receives a 25-year award from Dave Zuchowski, CEO of Hyundai Motor America.